Yes, Royal Mail has changed its tracking link again in June 2014. We don't know why they don't just set up a redirect from the old URL to the new URL, but well, their business is shipping. It is highly recommended to update the URL in your tracking emails if you're using our Custom Carrier Trackers extension, as otherwise your clients could be confused if a 404 not found page shows up when trying to track their shipment. 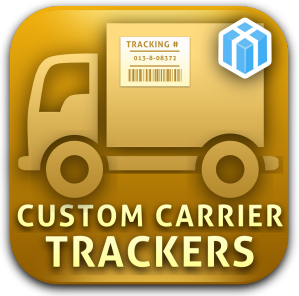 Not using our Custom Carrier Trackers extension yet? You can easily set up custom tracking links in Magento using it. Tracking numbers will automatically be replaced in the URL so your customers don't have to enter the tracking number manually. If you are using custom carriers which are not supported by Magento out of the box, you can use it to easily add custom tracking URLs to Magento.